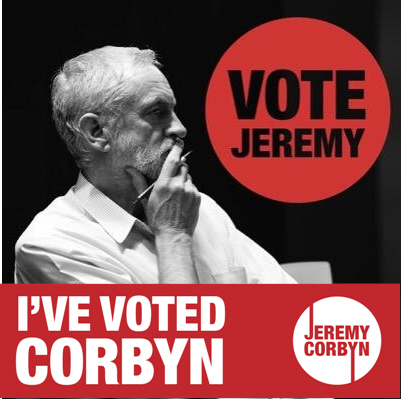 The Corbyn campaign is a working class revolt against neo-liberalism taking place in the British context , within existing institutions, through the party that workers in this country still regard as theirs. Indeed that is the whole point of the Corbyn campaign and why it has taken off so spectacularly. For the narrow victory of Cameron in May was the lowest point in the history of the social-democratic-led working class movement in Britain since at least the 1930s. Capitalism went into a deep crisis as a result of the 2007 financial collapse, which came close to destroying the financial systems of the imperialist world. The came as the culmination of decades of a strategy of imperialist capital known today as neo-liberalism, which involves a wholesale attack on the working class through privatisation, deregulation, the weakening of trade unions through repressive laws, and the transfer of formerly reasonably paid jobs in manufacturing to countries in the developing world where repression of trade unions and meagre standards of living allow ultra-low wage costs which go to some way to counteracting the long-term decline of the rate of profit that is endemic to capitalism in the state of extreme decay it has currently reached. The deindustrialisation of much of the advanced capitalist world has led to the deliberate promotion, by the ruling classes of the imperialist countries, of speculative activity and asset bubbles as the only way to produce a semblance of economic dynamism, and hence provide some pretence that capitalism can provide rising incomes for part of its population. In previous periods of capitalist instability, bubbles in the stock market played a similar role. Now the housing market has been added to this economic device for manufacturing consent. The securitisation of sub-prime mortgages that played such a huge role in the 2008 crunch is typical. But the fact that the system depends on asset bubbles to keep it going, when everyone knows that such bubbles tend to eventually pop with tremendous destructiveness to capitalist economies themselves, merely shows that the capitalist system itself is not viable. So does the internationalisation of cheap labour that goes by the name of globalisation. The wellsprings of capitalist profit are rapidly drying up, and can only be refreshed periodically by practices that used to regarded by mainstream capitalist economic doctrine as disreputable and even insane. But such practices are the main ethos of capitalism in its current form. The previous generation of reformists hit this social and economic reality like it was a brick wall. And they capitulated wholesale to the offensive of the ruling class against the workers to put this system in place. They did this because at bottom, reformists, all of them, believe that the capitalist system cannot be done way with through revolution, but has to be made to work in some way in the interests of the working class. So when ruling class ideologues put the case that in order for the capitalist system to survive, working class gains have to be thrown wholesale onto the bonfire to provide the system with more fuel to sustain it, the dominant trends within reformism concocted the ideology of social-liberalism to provide a ‘left’ justification for such attacks. In Britain this is known as Blairism. This is the import of Thatcher’s boast that her greatest achievement was Blair’s New Labour. The crippling effect of this ideology on labour movements around the capitalist world was such that even with the near-death experience of 2007-9 for the capitalist economy, the ex-reformists used their remaining influence to make sure there was no resistance to demands from capital for massive austerity – attacks on the most elementary living standards of working people – to pay for the massive bailouts of the financial system that the system found desperately necessary to stave off economic collapse in the financial crisis. Popular discontent at this austerity has rumbled along for the past few years, and various bourgeois and soft-left politicians have attempted to give a ‘safe’ expression to this without harming a hair of the head of the system itself. Barack Obama came to power in the US as a result of this sentiment; his administration has enforced what some might call ‘austerity with a human face’, benefiting in partisan terms from the fact that the Republican right were in office when the credit crisis struck. In Britain, however, the Blair/Brown governments were in power for this whole period. The Tories have benefitted from this by constructing an absurd narrative that it was the supposedly left-wing, extravagant social programmes of Labour in power that was responsible for the crash. It is utter rubbish, as the dogs in the street knew that New Labour were just as keen as the Tories on finding new ways to involve private capital in making profits out of every conceivable public service: health, education, you name it. The dominant trends in the Labour/trade union bureaucracy never dared to challenge this mendacious narrative, even though they had been compelled to give some ground to working class discontent against the overtly anti-working class record of New Labour, by installing the soft-left Ed Miliband as leader after 2010. His weak leadership spoke out of both sides of its mouth at the same time, distancing itself from the Iraq war and some of New Labour’s most egregious positions, such as its embrace of the Murdoch Press. But it was half-hearted – Miliband’s Labour cringed before the austerity agenda of the Tory/Lib Dem coalition. One strand of its ‘distancing’ from New Labour’s ‘free market’ practice was to join in UKIP/Tory propaganda blaming migrants for the decline in working class living standards. Hence the dreadful ‘immigration controls’ campaign mug. Although there was some lip-service paid to working class interests at times, it was chronically weak, particularly in the face of the centrifugal forces unleashed within the UK by the Scottish independence referendum, when Labour campaigned for a No vote in a joint campaign with the Tories to preserve the anti-working class status quo, instead of the correct tactic of opposing separation in favour of a united working class to crush the UK-wide class enemy. The referendum was narrowly won by the Coalition-Labour bloc, but the political fallout was the effective wipeout of Labour in Scotland by the left-talking, anti-austerity-posing SNP under Nicola Sturgeon. This then combined with the growth of UKIP at Labour’s expense in the North, which was partly indicative of working class discontent with New Labour’s neo-liberalism and abandonment of the working class. It was misdirected into a backlash against migrants, but opinion surveys also show that this layer overwhelmingly supports public ownership, and is viscerally opposed to privatisation and the like. However, under Miliband’s weak leadership, there is no way the obvious potential to undercut these anti-migration sentiments with class struggle politics could be manifested. This produced a perfect storm of nationalist polarisation that undermined the Labour election campaign and allowed the Tories to sail through the middle and achieve a narrow parliamentary majority with only a tiny increased vote from 2010, gained mainly at the expense of their coalition partners and lackeys, the hapless Liberal Democrats under Nick Clegg. The Tory victory, on the basis of barely more votes than they got in 2010, was a result of the arbitrary and undemocratic nature of the electoral system. Yet suddenly, because of this system, the working class in this country was faced with: a new tranche of anti-union laws, abolition of ‘Human Rights’ laws that have provided some legal redress against government authoritarian decrees and laws, massive new austerity-driven cuts in benefits to the poor and disabled, acceleration of the planned run-down of the NHS, ready for its deliberate disintegration so that private healthcare can ‘fill the gap’; a massive augmentation of racist anti-Muslim bigotry and the repression against migrants that previous Labour and coalition governments have already pumped up.. This is purely the result of the failings of the so-called working class party, Labour, and the divisions in our class that its betrayals have engendered. Immediately after the election there was a mass sentiment from below, from the would-be victims of this government; that this cannot be allowed to stand. On the Saturday after the election, there was a large, militant and angry demonstration, starting outside the Tory election headquarters a stone’s throw from Parliament, which gave voice to the inchoate movement that was developing. It had no organisation, as was obvious on the day, having been called by a coalition of mainly youthful anarchoid and community protest groups, the most prominent being London Black Revolutionaries. This was then given more organised expression by the call by the People’s Assembly for a mass anti-austerity demonstration on June 20th. This was on the scale of the early stages of the movement against the Iraq War, and in size, was comparable to anti-austerity demonstrations under the previous Con-Dem coalition government. Jeremy Corbyn had already won a place on the ballot for the Labour leadership at this point, providing the kind of overtly class-based political focus that was missing under the previous government’s attacks. Corbyn was the keynote speaker at the rally, and his campaign has now become synonymous with a full-blown political anti-austerity movement, which was absent under the Cameron/Clegg government. Since then Corbyn’s campaign has taken off like a rocket. He is now the bookies’ favourite to win the Labour leadership. He has spoken around the country to crowds of a size that have not been seen at public meetings for a politician running for office for many years, attracting several hundred at a time even to very local events. Mainstream politicians, even Labour ones, do not usually address such gatherings, fearing being questioned and confronted by the public. The prospect of Corbyn winning has frightened the supporters of New Labour, Blairite and Brownite, with a series of apocalyptic warnings about the consequences of a Corbyn win from the like of Blair himself, saying that Corbyn supporters should get a ‘heart transplant’. All kinds of New Labour luminaries have been reduced to hysteria by Corbyn’s evident mass support among Labour members, and have been given a platform by the quality so-called ‘left’ mass media, the Guardian and the Independent, to publicise their anathemas and tirades against Corbyn and his supporters. The Guardian, in particular, which unlike the Independent, supported Miliband’s Labour in the General Election, has sorely tested the patience of many of its left-leading readership with a series of journalistic tirades against Corbyn. The pro-Labour Daily Mirror, with more of a working-class readership, has tended to more sympathetic coverage. Various Tories, crowing in the immediate aftermath of Cameron’s narrow election victory, claimed to be in all in favour of supporting Corbyn, propagating the idea that Corbyn’s traditional left Labourism would make Labour unelectable. The Daily Telegraph even advocated that Tories should sign up under the Labour Party’s revamped rules as ‘registered supporters’ and pay their £3 for Corbyn. But other, more thoughtful Tories, have realised that Corbyn’s election could push the whole terrain of UK politics way to the left, with Kenneth Clarke making the point that a Labour Party led by Corbyn would be a potent force that could easily win an election in 2020. In this context, the necessity obviously exists for genuine socialists, that is, revolutionary Marxists or those who aspire to that, as an act of elementary solidarity with the class political thrust driving both Corbyn himself and his base of support, to support Corbyn’s election as Labour leader and call on everyone we influence in the labour movement to do the same. At the same time, we must make clear the limits of this support and those shortcomings of Corbyn’s political programme that are potential obstacles to the class aspirations that drive the movement, and which may limit its scope and depth. We offer such a critical view as part of the movement, not in counterposition to it, and urge all class-conscious workers and activists to get involved in the Corbyn campaign, to fight hard to push Labour further to the left and open up the space for a genuinely revolutionary position particularly if he wins. The latest furore against Corbyn came when he suggested that one thing he might do if elected leader would be to reinstate the old Clause IV of the Labour Party constitution, or something like it, the one about securing “for the workers” a society built on “common ownership of the means of production, distribution and exchange”. This clause was a key index of Labour’s claim to be a socialist party going back to 1918, at the time that the Labour Party instituted individual membership. It was always a sop, being written by Sidney Webb, one of the luminaries of the ultra-reformist Fabian Society who was intended that it would remain a dead letter. It was aimed at providing Labour with a ‘socialist’ camouflage to fight against the influence of Communism and the Russian Revolution. In today’s context however, such a restoration of formal socialism would be a supportable and important leftward shift in Labour and a complete repudiation of Blairism. However, really trying to implement it would bring out all the latent contradictions of Labourism. After all, the reason for its abandonment was not because it had become an electoral liability, as the Blairite/Thatcherite narrative had it. What is electorally possible can fluctuate wildly at the behest of wider political trends. It was rather abandoned because the bureaucracy that runs both the trade unions and the Labour Party are, in the phrase of the American socialist leader Daniel DeLeon, ‘labour lieutenants of the capitalist class’. That is, they are political servants who do the bidding of the ruling class. And the ruling class in Britain and numerous other countries had decided, under the political banner of neo-liberalism as a strategy to restore the profitability of a capitalist system in decline, they could not countenance a significant degree of public ownership. The overwhelming bourgeois trend was privatisation, deregulation, and the destruction of all kinds of partial working class gains. The core of the pro-capitalist labour bureaucracy absorbed this strategy because they were ordered to by their political masters. Even aspiring to begin implementing a new ‘Clause 4’ would require first of all a break with the entire ethos of the pro-capitalist bureaucracy of the unions and the Labour Party. For instance, though the gains made by the working class by the celebrated Labour government of 1945-51 are not to be scoffed at, they nevertheless were much less than they could have been. Though the National Health Service was instituted by this government, private medicine remained intact as the government allowed pay beds to exist in NHS institutions, even as it nationalised the hospitals and created the NHS. This was done to ‘get on board’ the Consultants, who were the richer stratum of the Medical Profession and indicative of the application to the healthcare sphere of the whole ethos of Labourism: public ownership with the consent of the privileged, and most notably, the ruling class itself. This has marked the NHS to this day. The fact that the nationalised industries generally consisted of unprofitable segments of capital, and huge amounts of compensation were paid out for them, meant that the working class bore much of the burden of maintaining the post war nationalisations. Taxation was high to provide subsidies to all kind of often outdated and second-rate industrial concerns, and the working class tended to pay most of it. Though marginal tax rates on higher incomes, as well as corporation taxes, were considerably higher than they are than they are now, the most radical taxation plans of the reformists did not touch actual wealth and ownership of capital. Even the Bennite ‘wealth tax’ that was mooted at one point was guaranteed to enrage capital, without actually relieving it of the source of its social power: its property. The high tax burden on the working class was bound, in the long run, to erode popular support for the social democratic form of nationalisation once the ruling class decided on a different strategy for capital. Which it duly did with neo-liberalism, and tax cutting and other populist bribes were a key weapon of politicians like Thatcher (and Reagan in the US) in building up their own reactionary coalition. The key question involving nationalisation is not just one of formal government/state ownership, but: which class holds power in the state? In its most essential aspect, to which questions of bureaucratic administration are subordinate, it is: which class, and whose property, does the state machine exist to defend? Presently we are speaking of the state in economic terms and not dealing with its military core. It is clear that, for all the nationalisations enacted by social democratic governments in 1945 and since, fundamentally this was about the state keeping afloat vital but unprofitable parts of the capitalist economy while freeing the bulk of capital to make augmented profits in those sectors that were profitable, then providing a basis to make a killing from privatisation and asset stripping at a later point. In effect, that it is a potted history of British social democracy and public ownership. So, in order to put forward a viable strategy for public ownership, it is necessary to take aim, not at unprofitable sections of the capitalist economy, but at the core, profitable sections. That certainly includes highly profitable formerly nationalised monopolies such as the energy companies, BT, the water industry, the Railways and other transport, all of whose prices have been racked up to extortionate levels and make huge profits from fleecing the public. (It also must include the banks, the City Of London, as well as the remainder of British manufacturing). The same is true of private rented housing, which, as a consequence of the selloff of council housing due to the ‘right to buy’, has led to the ‘buy to let’ phenomenon of large numbers of petty landlords, as well as the bigger ones, making a mint from extorting enormous ‘market’ rents from the renting public, which are then often topped up from general taxation. The Tories’ solution to this drain on public funds is to attack the tenants and ‘cap’ their housing benefit payments through ‘benefit caps’ and the like – without doing anything about the cost of housing itself. The Labour Party went into the last election refusing to oppose benefit caps and only proposing to cap rent increases to inflation during a tenancy – long after the horse of ‘market rents’ had bolted. This was an indication of how servile Labour was even when it responded to working class discontent. Since the election, under the ‘caretaker’ leadership of Harriet Harman, Labour has deepened this capitulation, with her order to MPs not to oppose the government’s appalling benefit-slashing Welfare Bill. This produced a revolt among Labour at the grassroots, but only Corbyn of the leadership candidates had the backbone to vote against Cameron and Harman. The other election candidates, Burnham, Cooper and Kendall, abstained – on immiserating huge numbers of working class people. Corbyn’s principled stance on this is obvious intimately linked to his opposition to all the anti-union laws passed since the days of Thatcher and Tebbit, as opposed to the scabs and neo-liberal traitors since Kinnock’s day – let alone Blair – who have ‘pragmatically’ accepted these attacks on the rights of workers to organise to defend their rights and living standards. On the housing/landlord issue, Corbyn has some laudable social reforms in his proposals including “lift the housing revenue account cap to allow councils to build council and social housing” (a manifesto pledge also endorsed by Andy Burnham), longer tenancies, private landlord registration, rent regulation and private rents linked to average local earnings” as well as an end to the “right to buy” council housing. At the level of tackling the housing crisis, these positions are to be welcomed as they would make a major difference to the lives of millions of people and improve their lives considerably. But on the wider economic level, and the consequences for state power that flow from this, Corbyn has real weaknesses in his programme, which flow from his left-reformist politics. His economic plan involves ‘people’s quantitative easing’, an adaptation of the strategy adopted by the Bank of England to stave off a ruinous deflation after the financial crash, and revive economic growth, by simply using its currency-issuing power to create money and give it to the banks to lend to customers. Corbyn proposes to do the same, but this time circulate the money through the wider economy, to give workers a decent pay rise, increase benefits, abolish student loans/tuition fees and restore grants, reverse many of the austerity cuts and generally give a boost to consumer spending to kick-start economic growth. At the same time, he proposes to borrow money on the international markets to invest in state-funded infrastructure projects. The problem with this is that while every gain for the working class is welcome, it may not revive the still capitalist UK economy as effectively as he and his followers think it will. This is an updated form of Keynesianism, and it should be recalled that the original Keynesian schemes, of state sponsored increases of income and job creation not mandated by the dictates of market economics, had only limited impact in the 1930s with the New Deal and similar schemes. It was not actually Keynesian economics that pulled the US and Britain out of depression in the late 1930s and 1940s, but rearmament and world war. It was not Keynesian economics that created the long boom in the 1950s and 1960s, but the massive expansion of American world economic power, the collapse of the former European colonial empires into the US ‘Free trade’ sphere, and not least another round of re-armament for the Cold War against the USSR. Keynesian economics was an ideological form that permeated the bourgeoisie for this historical period, because it appeared to have saved capitalism from its worst nightmare of collapse and revolution; but the steady decline of profitability of capital that was evident by the 1970s led the ruling classes to abandon it in favour of neo-liberalism and a new offensive against the working class. So Corbyn’s scheme is not obviously something that socialists can simply endorse uncritically. It is right to warn that it will not deal with the underlying cause of capitalist depression, which is not underconsumption, but rather fundamental contradictions in the sphere of production, underlying the tendency of profit rates to fall and therefore for investment to dry up and migrate to low-wage zones elsewhere. Austerity is merely a brutal attempt to import such conditions to the imperialist heartlands and shore up the rate of profit this way. Without a full scale assault on capitalist property itself, this challenge to austerity will bring resistance from capital, capital flight, and other forms of sabotage, without dealing with the problem itself. This is even more so with Corbyn’s plans for the nationalisation of energy companies, railways, public services like BT, water companies, etc. These are all highly profitable sectors of capital today, though that is mainly due to rigged markets. One can be sure that capital will demand a very high price for them, particularly as Corbyn has mooted the idea that nationalisation would take place by simply buying holdings of shares. There are different ways this could be done, of course, depending on whether the ‘market’ is allowed to set the price of the shares, or whether the government is prepared to draw up its own assessment of a ‘fair price’ for them based on a moral judgement of what the price really should be based on the evidently dubious way many of these assets were privatised in the first place. If it were to do the former, the government would be financially crippled by extortionate compensation demands from profiteers demanding their own idea of a ‘market’ rate, as was done in the opposite sense when state owned industries – most recently the Royal Mail – were sold off on the cheap. If the government were to try to do the former, however, let us be clear that if it were to offer a purely nominal price for these shareholdings, with exceptions only for cases of proven hardship to small investors, that would be a huge attack on capitalist property rights. One way to get round the problem of the interlocking of shares in private pension funds and the like would be to nationalise the pension funds also. However, this would lead to much further complexity as pension funds themselves are interpenetrated with all kinds of other elements of capital, both financial and industrial, and derive much of their fund growth from such investments. Nationalising them would therefore involve encroaching on significant wider elements of capital also. This would not be cheap, if a buy-out took place at market rate. The only way to avoid crippling the government financially is to attack capitalist property rights, and to de-facto expropriate key sectors of capital. Capital will resist such measures tooth and nail. It is very fitting that as Corbyn’s campaign for the Labour leadership has snowballed, Chris Mullin’s 1982 novel A Very British Coup has been recalled by many in the media. This fictionalises the rise of a left Labour Prime Minister to power with a mandate to reverse the legacy of Thatcher, and the efforts of the ruling class to overthrow it, culminating (in the TV version, though not the novel) in an actual military coup. It is also public knowledge that when Harold Wilson’s Labour government came to power in 1974, after Heath’s government lost its “who runs the country” election during the miners’ strike, there was considerable musing in the ruling class about the possibility of a coup, and some actual plotting, involving Lord Mountbatten and a number of senior military figures. If Corbyn’s Labour came to power with a programme based on a buyout of key, parasitic, profiteering sections of British capital at a nominal price, and not a price that would involve crippling the working class with further taxation to pay compensation, would capital accept that? It is enough to look at what has happened in Greece to a government that came to power promising to do much less. The ruling classes have no attachment whatsoever to democracy; if it becomes inconvenient to them, if a challenge to their power germinates within the framework of existing democratic institutions, it will be dispensed with. This is where Corbyn’s pacifistic view of international politics comes in. For his honourable anti-war activism, his long-time support of the Stop the War Coalition, his opposition to the war in Iraq, his defence of the democratically elected government of Venezuela against those within his own party who were involved with the CIA in attempt to organise a coup to overthrow it, his support for the Palestinians and his engagement with movements fighting Zionist oppression and aggression, such as Hamas and Hizbullah, all the things he has been attacked for by the imperialist and Zionist media and their lackeys on the left; for all these things, he remains a left-reformist and social pacifist. How on earth is the working class going to liberate itself from a capitalism that is armed to the teeth against it, and quite prepared to destroy the lives of millions, and not just in underdeveloped countries but also in the imperialist centres such as Britain and America, if this is the strategy we adopt? Of course war brings all these and many more terrible things. But simply resolving to ‘cut out’ war does not have a snowball’s chance in hell of stopping it. Elected office does not solve the question of the state, whose core function is to defend the interests of the ruling class minority who wage these wars. The only way to stop war is to take power out of the hands of capital, by removing their property. But before that can be done, they have to be deprived of the means to stop us doing that. If this is not done, the ruling class will use the weapons that it uses to wage wars abroad, to crush the working class and stop us expropriating their property at home. So the working class will have to create its own armed formations: guards or militias to defend working class organisations and potentially, to defend a government led by Corbyn or others of the same disposition against reactionary attacks from fascists or even the kind of coup that took place in Chile, inspired by Milton Friedman and other neoliberal ideologues. We have to break up and destroy the armed forces of the capitalist state. Likewise his laudable demand for a war crimes trial to indict Tony Blair, is just not going to happen without the destruction of the military machine of imperialism, whose willing instrument Blair was in that conflict. The bourgeoisie will not allow its most class-conscious representatives to be subject to punishment by the oppressed in this way without it being crushed as a class. Corbyn’s opposition to the renewal of Trident is laudable, but the demand for unilateral nuclear disarmament also presupposes that these weapons can be junked by a mere legislative act. Britain’s nuclear weapons exist as part of a quid-pro-quo with the ruling class of the USA: Britain acts as a nuclear-armed unsinkable aircraft carrier for the US, while the US uses its wider global force to protect Britain’s economic interests in many former colonies, which are still the economic basis of much of the British ruling class’s economic clout (so called ‘invisible earnings’). Huge bourgeois material interests are bound up with these weapons; it will take a revolution to remove them from the hands of the ruling class. While socialists should support Corbyn taking the leadership of the Labour Party, because such a victory would be a major reassertion of working class politics within this bourgeois workers party, nevertheless even his victory would not represent the complete victory of working class politics. Even under Corbyn, a kind of bourgeois politics would still hold sway in the British working class movement. The ideology that sees the British state as ‘ours’ and that seeks to bend it to a programme of peaceful interactions with the outside world and a benevolent economy that benefits working class people through nationally based public ownership, is still bourgeois politics in the last analysis. To go beyond this most left-wing form of bourgeois politics, the labour movement needs to overcome entirely the outlook of the pro-capitalist labour bureaucracy, which fundamentally exists to negotiate over the terms of exploitation of the working class with the bosses. This is the essence of why even the most left-wing reformist politics is still bourgeois. Overcoming reformism can never happen entirely within the framework of Labour, the organised expression of bourgeois politics within the working class movement. The artificial barrier between the ‘political’ and ‘economic’ needs to be broken down; both the unions and the ‘political wing’ need to be fused together politically by a programme that aims at working class state power, not in Britain in isolation, but on an internationalist basis. Partial elements of what is needed exist in some aspects of the outlook of the most left-wing reformists, the Corbyns and the Galloways, such as expressing solidarity with those resisting imperialism, or demanding that the capitalist state go against the interest of capital and provide major wage rises and full employment through such novel ideas as ‘people’s qualitative easing’. But this cannot be resolved through even the most left-wing parliamentary strategy and methods. If things stop there, they can only go backward and the possibility of a new cycle of reformist betrayals and future retreats becomes objectively possible. Only by arming the mass organisations of the working class with a qualitatively more consistent expression of such demands and strategies: a transitional programme, demanding what the working class needs in terms of both its domestic and international interests irrespective of capitalism’s supposed ability to concede, can the full potential of the revival of working class left-wing politics that the Corbyn campaign represents be realised. It would be foolish to prejudge who may or may not be won to this perspective, the key thing is for conscious elements to fight for it. Only though being prepared to mobilise the enormous social power of many millions of workers in mass, militant class struggles, in general strikes, battles with the state all the way to creating a genuine working class government, can real solutions be offered to the decay of capitalism, which threatens to destroy humanity through more barbaric wars, through economic collapse and starvation, linked also to the danger of ecological catastrophe.